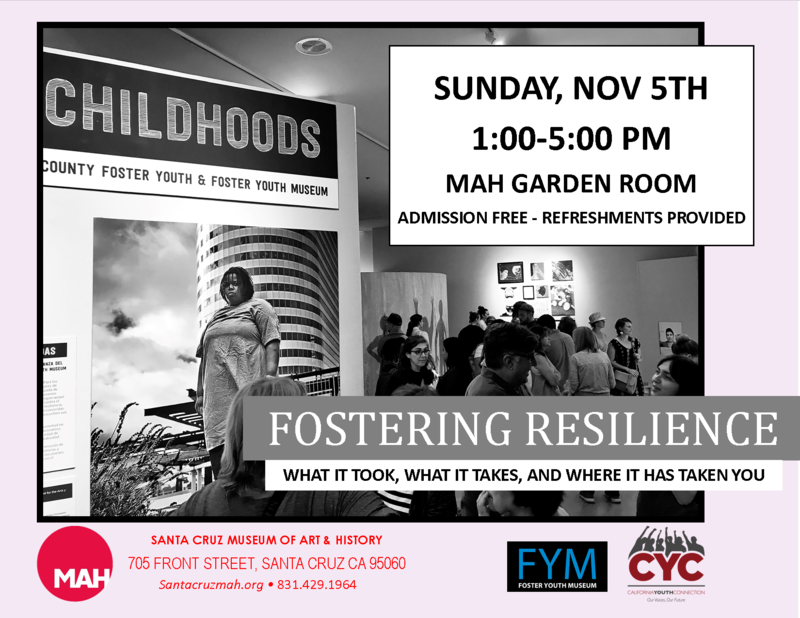 Join California Youth Connection and the Santa Cruz Museum of Art & History (MAH) to discuss how foster youth not only survive, but thrive, contribute and make a difference. This event includes panel discussions from current, former, and older generations of foster youth, and youth-led performances. •Former foster youth ages 30+ and more!